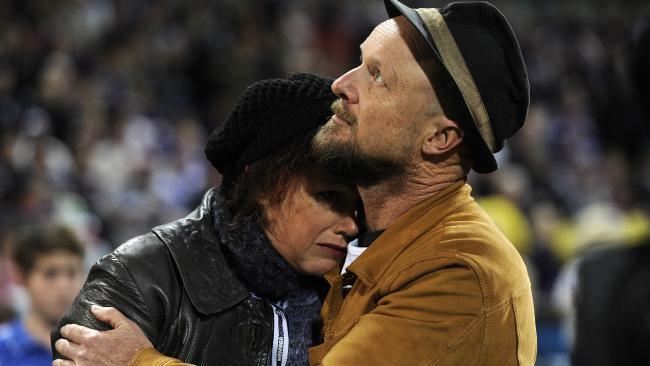 Anthony Maslin and Rin Norris release balloons before an AFL game. 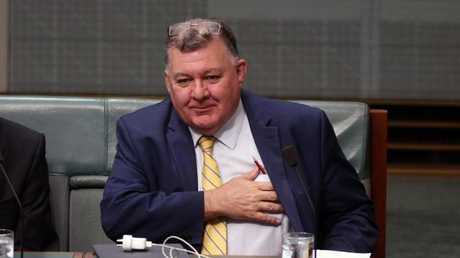 THE federal opposition has demanded Craig Kelly apologise to the victims of the MH17 disaster after the Liberal MP suggested the world overlook Russia's involvement in the atrocity. A day after the fourth anniversary of the massacre, Liberal MP Craig Kelly said Russian involvement should be "slightly looked over" in order to improve world relations. 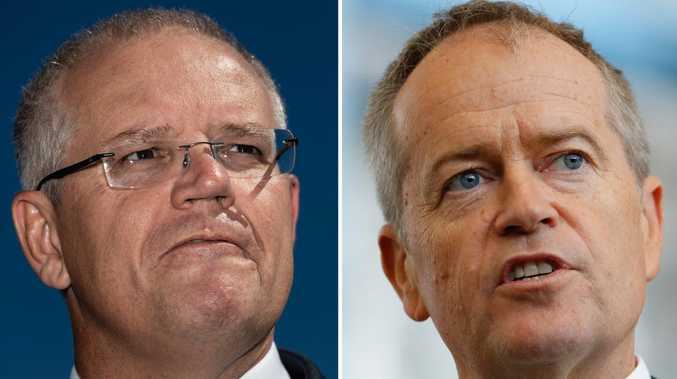 Labor leader Bill Shorten called on the Sydney MP to apologise for the remarks. Mr Kelly also responded to the father of three children who were killed in the incident, telling him nothing would bring them back. The Perth father challenged Mr Trump on the "irrefutable facts" surrounding the shooting down of the Malaysia Airlines plane by a Russian missile in 2014. His partner Lin Norris described both leaders as "bullies". 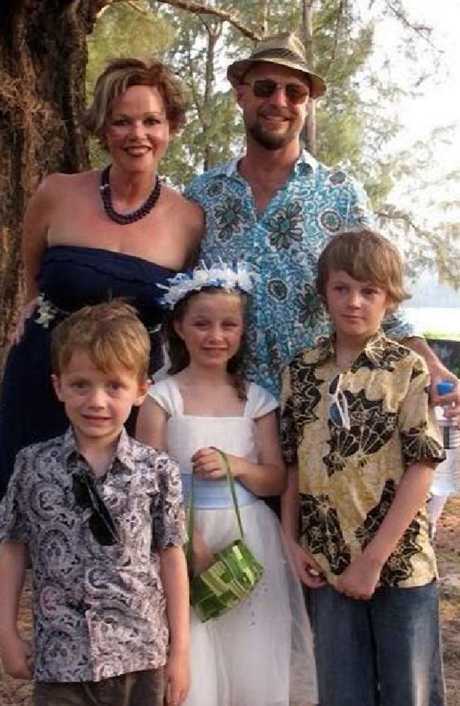 Their children Mo, Evie and Otis and Ms Norris's father died when the plane went down, killing all 298 people on board, including 38 Australians. Mum Rin and dad Anthony, with children Otis (8), Evie (10), and Mo (12). "Mr Trump, you invented and speak a lot about 'fake news'. But let's try talking about something that's not fake … let's call them irrefutable facts," Mr Maslin said in his post on Tuesday night. "That passenger flight MH17 was shot out of the sky and 298 innocent people were murdered is an irrefutable fact. "That the plane was hit by a Russian missile has been proven to be an irrefutable fact. "That this killed our three beautiful children and their grandfather, and destroyed our life and many other lives in the process, is an irrefutable fact. "That the man whose arse you've just been kissing did this, and continues to lie about it, is an irrefutable fact." Mr Maslin said that it's "not anger that I feel towards the two of you, its something much, much worse. It's pity". Craig Kelly during Question Time. "You have no empathy for your fellow man, and you clearly have no idea what love is. So you have nothing." Ms Norris spoke of "the shattering and wrenching apart" of her life, her family and her soul since the incident. Mr Kelly said nothing would bring Mr Maslin's children back, and it was important Mr Trump and Russian President Vladimir Putin maintained a good relationship. "I'm sure that any father that's lost three kids would be absolutely devastated but the reality is nothing is going to bring those three kids back, nothing that happens," Mr Kelly said.